So here is my target gift guide for you! Some of these things will be wrapped under our tree for sure! Let me know your favorite target finds! Socks- We love these Pair of Thieves socks in our home. It is such a cute way for Dex and Bryan to match- and fun socks are such a great gift for any man! Slippers- Year before last, my sister and brother in law gave Bryan his first pair of slippers, and he lived in them. It is almost time for a new pair, and I love the look and price of these slippers. Kettle- If your guy is a coffee connoisseur like mine, then a hot water kettle would be a perfect gift. It works for french press, pour over, chemex, aeropress- I mean, all the good ways to make coffee (or all the teas). 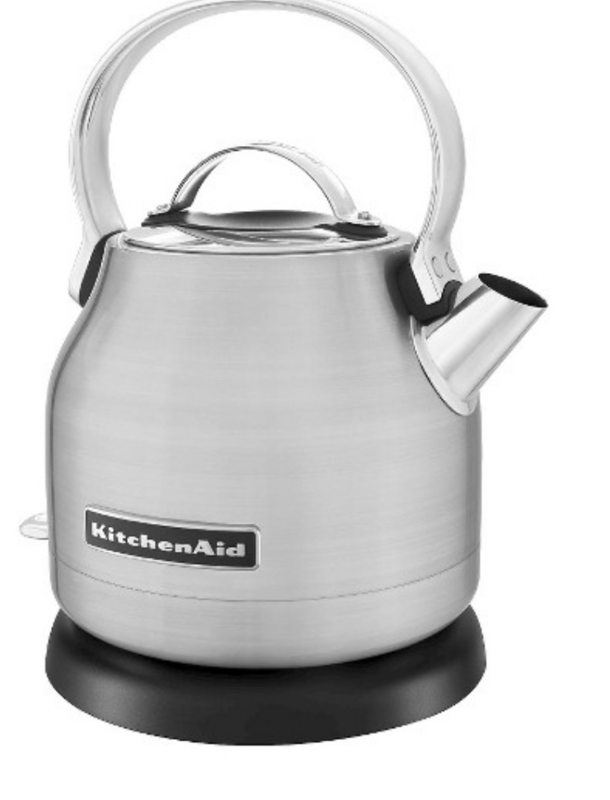 I love the look of this stainless steel kettle as well! Decanter- This decanter will definitely be under the tree for my guy- shhhhh don't tell him. The whiskey decanter is modern and minimalistic, and would look lovely on a bar cart. They also have a matching wine decanter. Seriously, these are awesome! PJs- Pajamas are always something that I look forward to getting at Christmas. I love the little details on this pair- the ruffles on the shorts, sweatshirt top- I mean these scream Christmas! Leopard Cardigan- Leopard print is very "in" right now. This cardigan is adorable and a great weight! I love the bits of pink in there too! Giant coffee mug- Yes. Yes. Yes. Giant Coffee mugs are my favorite. I like to put a whole pot of coffee in my cup since I rewarm it a million times throughout the day. The large size of this mug is also perfect to put a Starbucks gift card and some chocolates in for a teacher or momma friend gift. Coffee Maker- Speaking of coffee- any coffee loving lady would love a nespresso machine to make easy, fancy drinks. You don't need starbucks if you can make fancy coffees at home! Sugar Fix Earrings- I Love the Sugar Fix for Bauble Bar line at target right now. 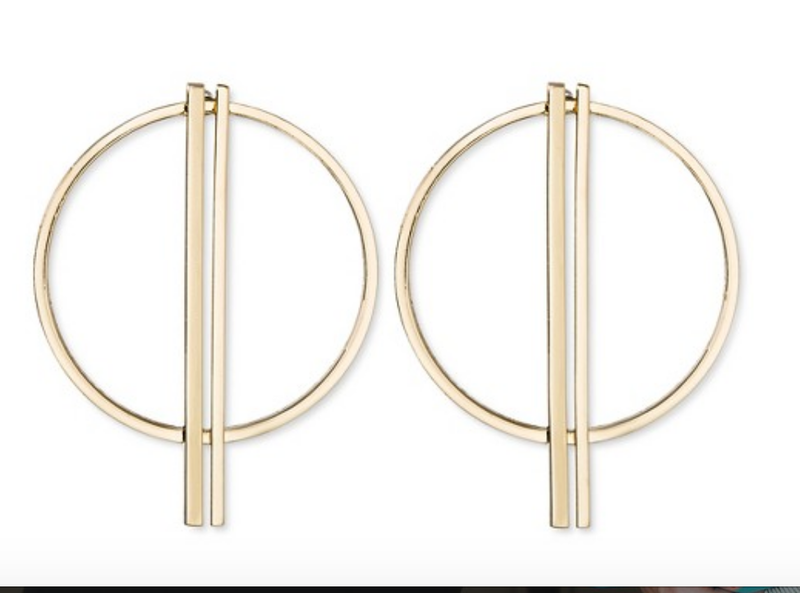 I am crossing my fingers that both pairs of these earrings (one, two), make their way into my jewelry box soon. The price point is great, and all of the Sugar fix jewelry is amazing! Cat and Jack sweater- Cat and Jack is my number one target weakness. I think every time I go to target, something from cat and jack comes home with me for my kids. Seriously. It's the best. This cardigan is my favorite, and will be wrapped and under the tree for my big boy this year for sure. Skinnies, a tee shirt, this cardigan and his saucony shoes- my kid is going to be the most stylish kid ever! Kids stacking cars- I love these cars because they have a dual purpose- you can roll them or stack them. AND they are wooden. 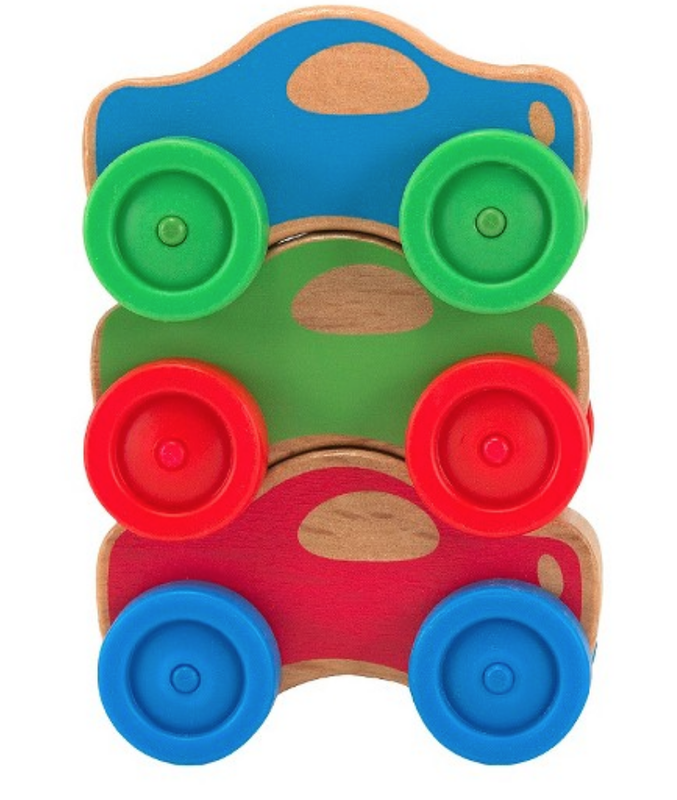 We love wooden toys over here with 2 boys. They last so much longer! Owls counting set- We are counting everything these days. I love this set and how the owls stack so you get that graphing/more/less component with this town as well! What is on your gift list from Target this year? I would love to know!